To mark the World Press Freedom Day on 3rd of May the Media Council of Mongolia organized series of events. Statement was issued and distributed tojournalists, parliament members and citizens (please see http://www.news.mn/r/331751) to advocatelegal environment for free, multilateral, independent and responsible press, promote selfregulation and a democratic society respecting human rights. 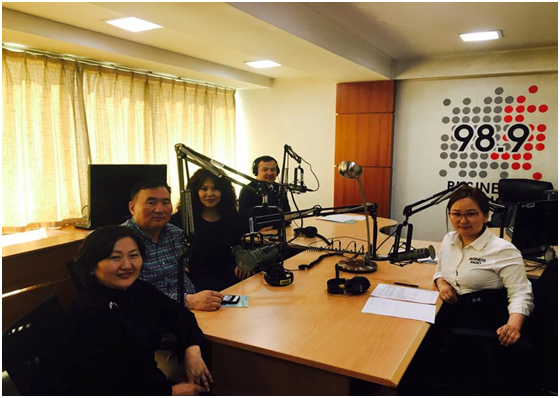 In order to improveknowledge and understanding of theCode of Media Ethics and selfregulationin Ulaanbaatar, aimags and local areas, the Media Council of Mongolia organized a series of live television and radio broadcasts, as well as interviews in which the citizens could share their opinions on ethical journalism. Training on “Media ethics and self regulation” in cooperation with an association of leading news sites and “Our character online” in cooperation with “Press freedom” NGO and “Baldorj foundation” NGO were conducted for journalists.The sessions discussed the influence of internet and technological change onmedia sector. The training also covered ethical principles for journalists on how to work online at the professional level and how self regulation can provide opportunities to improve capacity of journalists to act professionaly and express themselves clearly online.